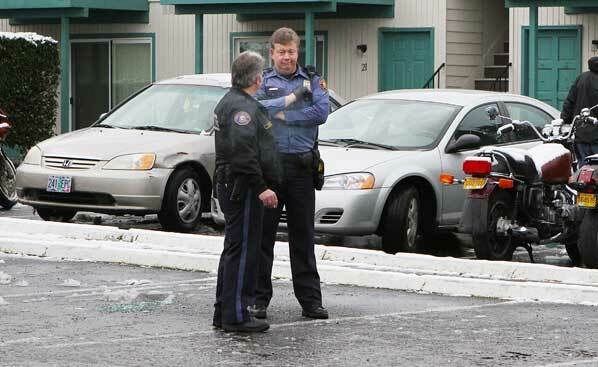 Officers exchange information, as the investigation in the shooting at Mitchell Court Apartments in East Portland unfolds. Just three months ago, on December 10, bullets flew and shell casings were left behind in the street in front of the Mitchell Court Apartments on SE 72nd Avenue at SE Mitchell Court, in Mt. Scott-Arleta. See East Portland News’ coverage of that event: CLICK HERE. Then, on March 22, at about 3:00 a.m., a neighbor said she spotted a man on foot, and two others in a car, sounding like they were having an argument. Moments later, the stillness of the wintry, snowy early morning hours was shattered by what neighbors say sounded like three to five gunshots. Another neighbor reported that he saw two people running from the area after the shots were fired. 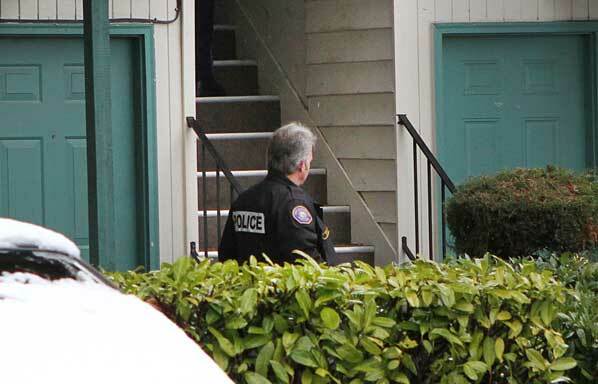 Portland Police detectives and officers walk in to further investigate the reported crime scene. 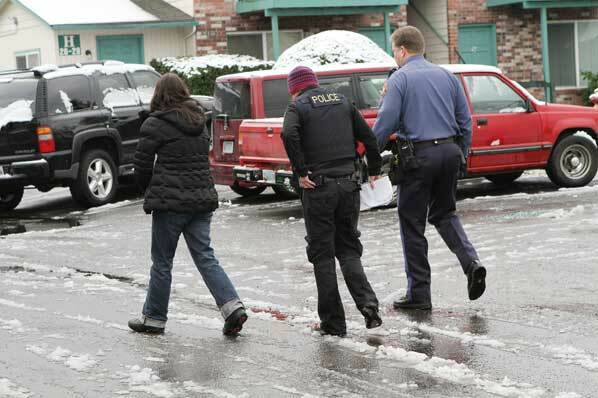 As Portland Police Bureau (PPB) East Precinct district officers rolled to this “shots fired” call, North Precinct officers seven miles away were making their way through snow-covered streets to check on a car crash reported at 2002 NE MLK Jr. Boulevard. An officer stands guard outside the stairwell where detectives went to continue their investigation. King later reported the wounded gunshot victim, 59-year-old Harold Clark, had suffered non-life-threatening injuries and was transported to an area hospital. 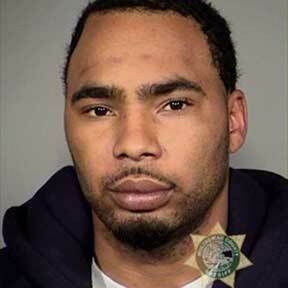 Taylor was known to the police, according to published court records, having been convicted for dealing illegal drugs. Acquaintances of Taylor told media outlets that he was “trying to turn his life around”, and had enrolled in community college. Current speculation is that Thompson, the driver of the car that crashed in front of Albina Community Bank, may have been taking the victims to Emmanuel Hospital, and lost control of her vehicle on the snow-slicked street. Anyone with information is asked to contact Detective Bryan Steed at (503) 823-0395, Bryan.Steed@PortlandOregon.gov; or, Detective Michele Michaels at (503) 823-0692, Michele.Michaels@PortlandOregon.gov.